Small works of art on rescued scraps of wood. Just a gal who makes stuff. Originally from Ohio, Lora Barnhiser has been living in Phoenix, AZ for ten years. She attended Bowling Green State University School of Art before moving to the desert. Her experience teaching Art to students in all age ranges, races and socioeconomic backgrounds has helped shape her into the artist she is today. She currently teaches Art to young artists in high school during the day. At night, turns into a studio owl: creating things from up-cycled earth friendly materials. 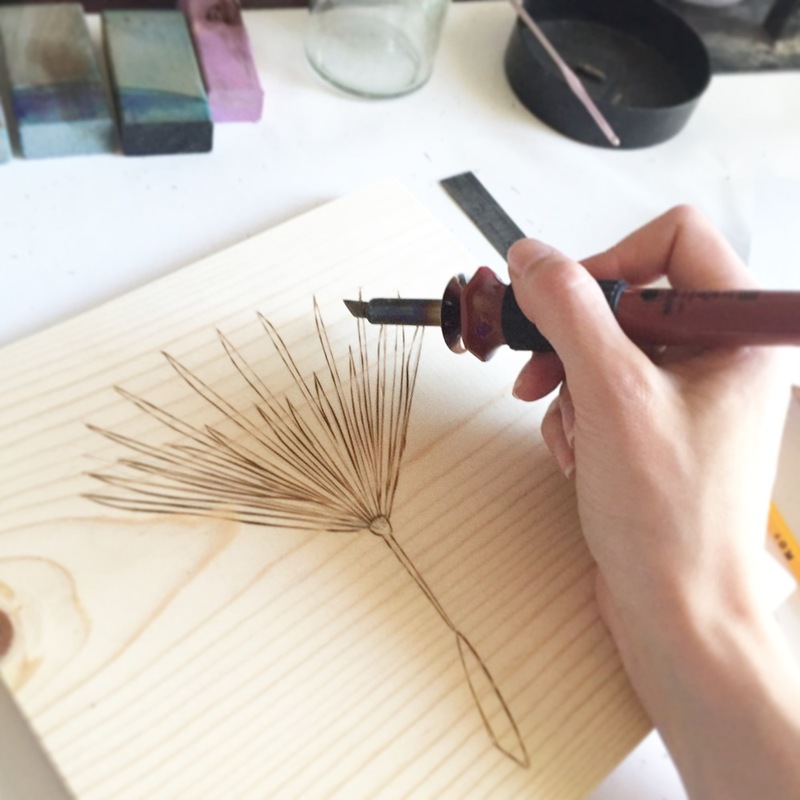 Favorite media usually include watercolor and wood burning (pyrography). "I often work best when life throws something at me and says, “Here! What can you make with this?” "This can be a blessing and a curse, as I am always seeing purpose in other people’s trash." Recently, life was made more exciting. She and her husband welcomed twins to their little house-hold. When not teaching, momming or creating art, you can often find her outdoors. "I've never been one to spend much time in the salon, but amongst the birds and trees instead." Follow her journey on Instagram or Facebook.